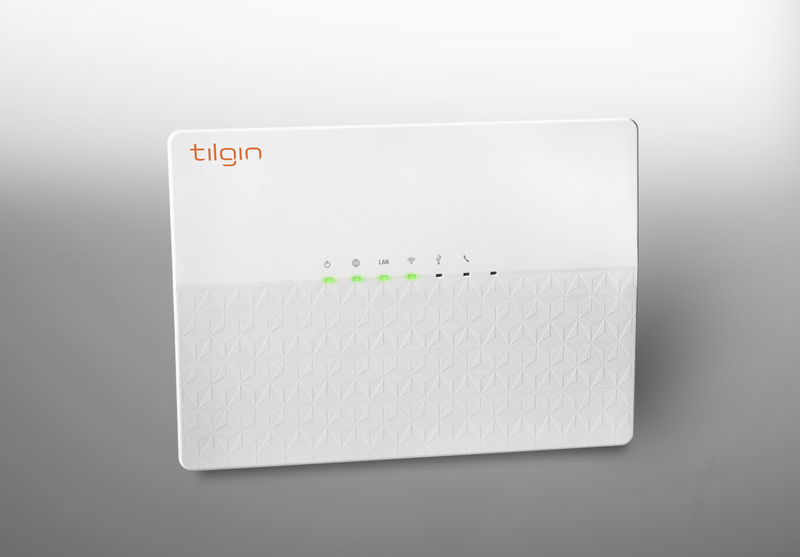 Tilgin’s HG2350 family embraces the second generation of 802.11ac technology. The product comes with two spatial streams for cost efficient, yet with a high capacity Wi-Fi solution supporting the latest technology. The product family uses 802.11ac technology supporting multi user MIMO, explicit beamforming, band steering and the 80 MHz bandwidth profile, giving superior Wi-Fi performance still with full QoS. The products support up to 500 Mbps Wi-Fi throughput. The new radio is fully backwards compatible with the 802.11n standard. This means that also older devices can benefit from improved Wi-Fi with the 5GHz Wi-Fi interface. The HG2350 uses an any-client beamforming technology on the 2.4 GHz band which improves coverage on a per client basis, particularly suitable for clients that are equipped with only one antenna, such as smart phones or tablets. This technology does not require any specific support in the client itself, meaning that the benefits comes to all clients, new and old. The product family is prepared for and can act as an Intel intelligent range extender controller, to control and manage one or more range extenders in a home for superior Wi-Fi coverage also in the most difficult environments. The solution support advanced features such as ability to seamlessly move connected clients between the gateway and the Wi-Fi extenders in the home. The product has gigabit interfaces on all wires ports and support gigabit wired throughput in both directions simultaneously. The HG2350 product family runs all the services offered with the Device Software from Seliro* and is prepared for all foreseeable future services and makes it very flexible to configure, monitor and use for new services.